I adore the simplicity of this design. It’s easy, universal and undeniably cute. While the idea comes first with other designs, Check Me Out started with this Sesame Street fabric. As soon as the bolts hit our office, everything just fell into place. It just flowed and within 15 minutes the initial design was done and ready to show. 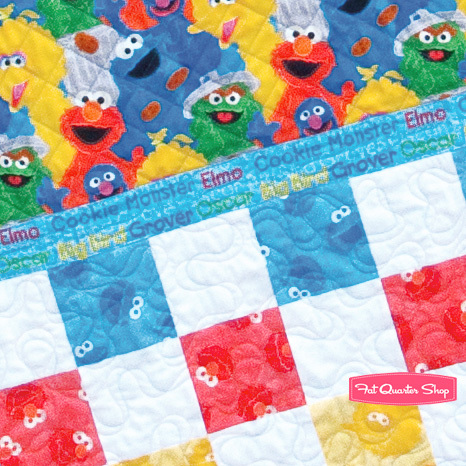 It’s like Elmo, Big Bird and Cookie Monster just wanted to say hi from checker-paneled strips. Then the whole gang needed a bigger space to congregate and party. And you wouldn’t know who was who unless their names were right there above them, would you? 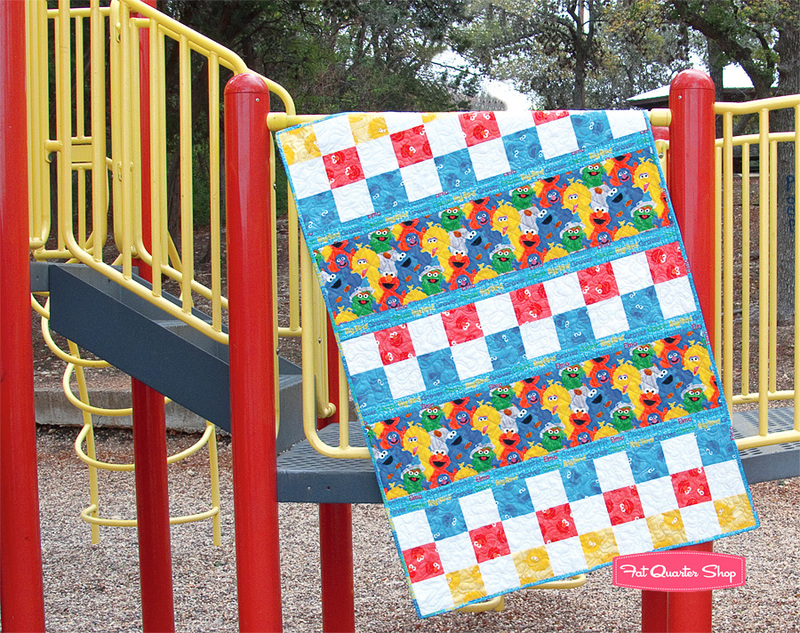 We knew it would be a hit when Kimberly’s first response was, "I’m going to make it tonight for my boys," and she came back the next day with the quilt. And while this version is darling, we’ve since put it in several different children’s fabric collections, and they all work! I see this being a perfect first quilt for beginners, great for classes, and an easy gift to whip up for friends. I hope you have fun with it! Shop owners, Check Me Out is available at distributors as ISE-125 at United Notions!